EXTINCTIONS PAST People may have caused a distinctive line of gibbons to go extinct sometime within the last 2,000 years, a discovery from an ancient Chinese tomb suggests. 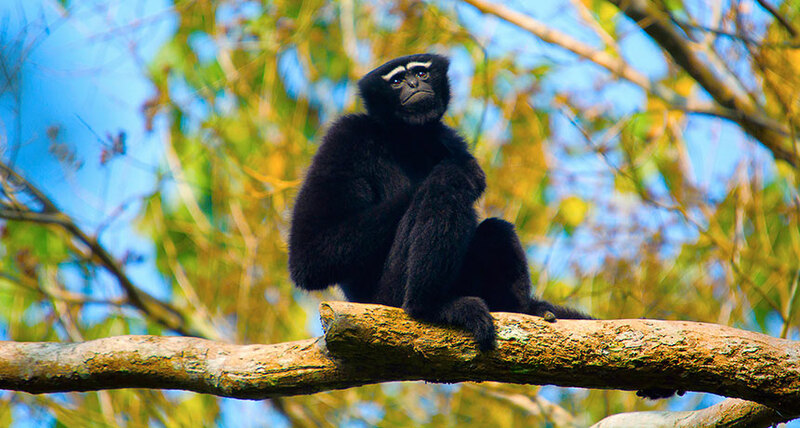 All gibbon species living today (Hoolock hoolock, shown) are imperiled. The climate was relatively stable several thousand years ago, and no vertebrate extinctions have been definitively linked to natural climate shifts over the past 10,000 years. So “it is reasonable to conclude that Junzi became extinct as a result of human impacts,” says study coauthor Alejandra Ortiz, a paleoanthropologist at Arizona State University in Tempe. “The science in this paper is strong, but its message for the future of apes and all animals and plants on Earth today is dismal,” says biological anthropologist Brenda Benefit of New Mexico State University in Las Cruces. All species of gibbons living today remain imperiled, as do most other primates, due to serious challenges from habitat loss, hunting and the international trade in exotic pets (SN: 3/17/18, p. 10).